Atlanta's home for Improv shows, Stand-up shows, and Comedy Classes :: Action Show Studios Presents: Improv Workshop Grad Shows! 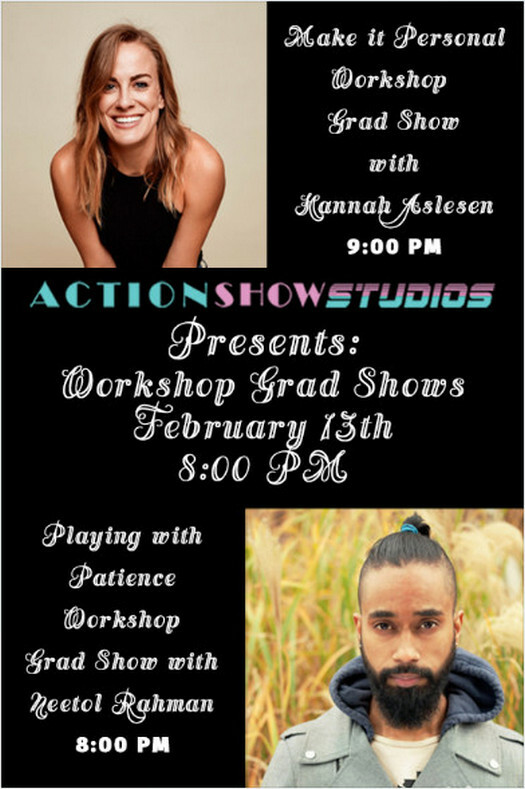 Action Show Studios Presents: Improv Workshop Grad Shows! Neetol Rahman and Hannah Aslesen present their workshop grad shows. Neetol's students from his workshop, Playing with Patience, and Hannah's students from her workshop, Make it Personal, both debut their newly acquired talents. Playing with Patience Grad Show: 8 PM. Make it Personal Grad Show: 9 PM.